After six decades of making exquisite, triple milled soap, Italian brand Nesti Dante has created perfume. 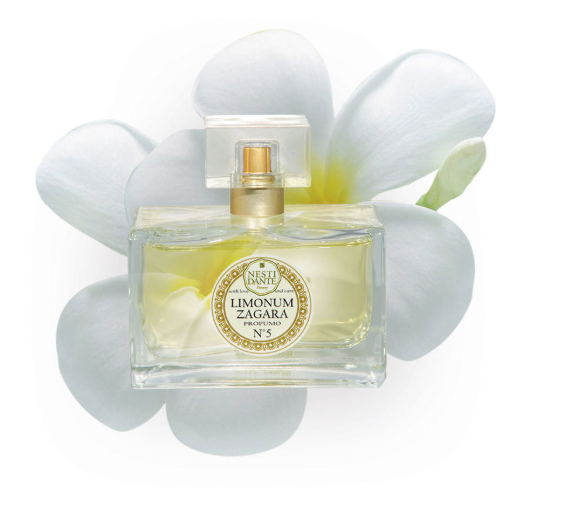 Editor Trudi Brewer reveals the most exquisite collection, Essence of Parfum made with love and care. Made with only the very best ingredients, including juicy green fig and sweet peony, red poppy, and freshly picked citrus, ripened in the Italian sun. Delicate orange blossom and a pinch of Mediterranean, sea salt are just a few of the ingredients in this new collection of five, unique fragrances. Each combination offers rare and refined essential oils, as well as essences from fresh blooms and summer fruit. The best way to describe this new fragrance range is delicious. Nesti Dante N°1 Fico della Signoria, $95, a blend of green fig and lush green leaves. Nesti Dante N°3 Regina di Peonie, $95, features the sweet bloom, peony. Nesti Dante N°5 Limonum ZagaraDe Ambra Papaver, $95 blends sharp lemon with a sweet honey-like orange blossom. Nesti Dante N°7 Aqua Dea Marine, $95, is packed with fresh oceanic notes including a pinch of spicy sea salt. Nesti Dante N°9 De Ambra Papaver, $95, offers the subtle blend of amber and red poppy. Nesti Dante Parfum NO5 Limonum Zagara, $95. If I had to choose, (and it was tricky), my pick would have to be this crisp lemon-y floral. A blend of ripe, citrus fruits, and heady orange blossom, which suits my obsession for fresh, green fragrance - I think it was made for a summer of endless, outdoor fun.